The UIDAI provides some online tools on its portal. Among these online tools by the UIDAI is one that enables an Aadhaar holder to request an update in the address given on Aadhaar. Are you an Aadhaar holder? Are your basic details such as address given on Aadhaar updated and accurate? The UIDAI or Unique Identification Authority of India - the issuer of the 12-digit Unique Identity Number (UID) as well as Aadhaar card - provides some online tools on its portal. Among these online tools by the UIDAI is one that enables an Aadhaar holder to request an update in the address given on Aadhaar. March 31 is the deadline to link Aadhaar with bank account, insurance policy and mobile number, among other things. Financial planners say it is paramount to keep the latest information updated in Aadhaar. Visit the UIDAI portal and click on the 'Address Update Request (Online)' link on the homepage. Alternatively, this link can also be accessed directly via a link. Enter your 12-digit Aadhaar number and click on 'Send OTP' to proceed. After this, the UIDAI portal sends an OTP or One-Time Password to the user's registered mobile number. Enter this OTP in the specified field on the UIDAI portal and click on 'Login' to proceed. On the next page, select 'address' and proceed. Fill in the new/correct details carefully. Ensure that your information is transliterated correctly in the local language, adds the UIDAI. The Aadhaar card holder can also visit the Aadhaar centres to get the address changed. A change in the registered mobile number can be made by visiting the nearest Permanent Enrolment Centre. 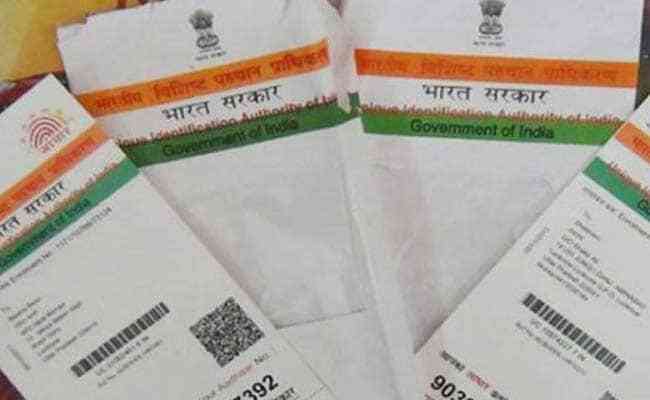 The Aadhaar holder has to be present with the Aadhaar card at the Permanent Enrolment Centre for a change in the registered mobile number, , an executive on the UIDAI helpline 1947 said. No other document is required, the executive added. The UIDAI has shared helplines 1947 (toll free) and help@uidai.gov.in for queries relating to Aadhaar, according to the UIDAI website. The UIDAI portal also enables users to search for information about Aadhaar centres using different criteria. A search on the UIDAI portal showed information on more than 100 Permanent Aadhaar Centres in Delhi.